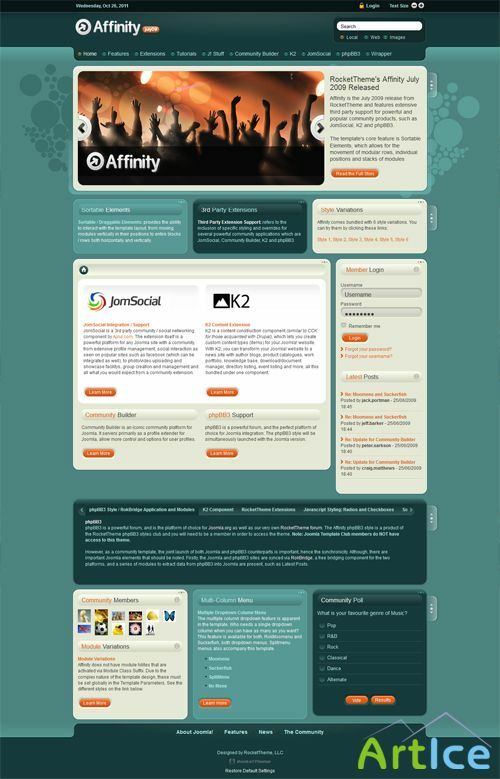 Affinity is the July 2009 release from RocketTheme and features extensive third party support for powerful and popular community products, such as JomSocial, K2 and phpBB3. The template's core feature is Sortable Elements, which allows for the movement of modular rows, individual positions and stacks of modules. We also have styled support for various RocketTheme Extensions such as RokTabs and RokAjaxSearch.